While there have been a number of poker shows on TV over the years, few of them catch the attention of mainstream audiences. But then along came Underground Poker, which had the potential to do so. 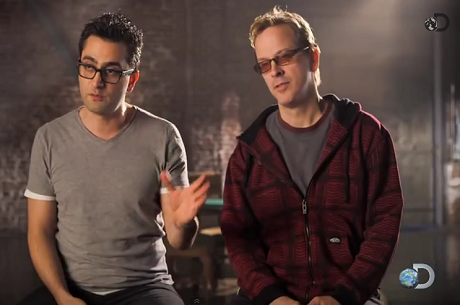 Featuring poker pros and best friends Antonio Esfandiari and Phil Laak, Underground Poker was given a chance by the Discovery Channel. The pilot episode saw Esfandiari and Laak spending time in New Orleans while trying to find a juicy private cash game. However, following the show’s debut last month, the Discovery Channel chose not to pick it up for a full season. But as you’ll see below, this doesn’t mean that Underground Poker is completely dead. The 2012 WSOP Big One champ went on to say that he thinks there’s a “pretty good” chance that another network will consider picking up Underground Poker. And his reasoning is that the producers know lots of people in LA. Will we ever see another episode of Underground Poker on TV again? According to Esfandiari it looks promising, so if you like poker TV shows keep your fingers crossed.